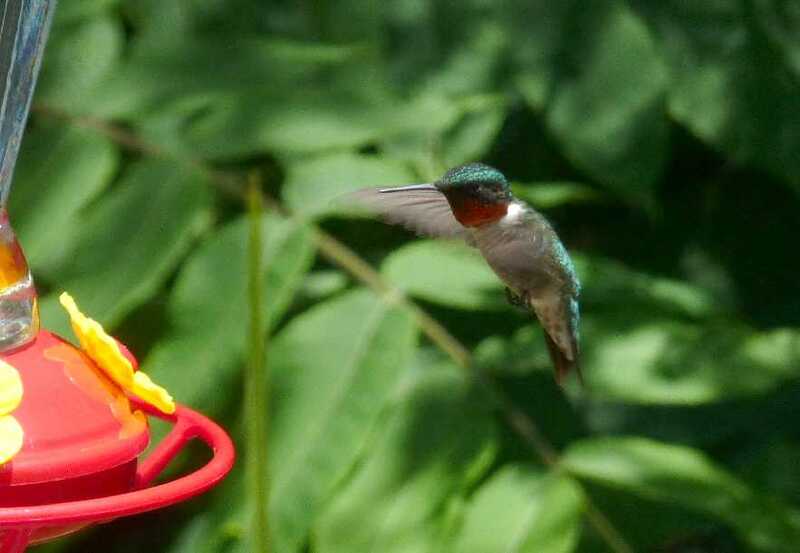 The speedy little Ruby-throated Hummingbird is our July pick for this year’s 12 Months of Birding at the Inn series on the Inn on Mill Creek blog. The Ruby-throated Hummingbird has the distinct honor of being the eastern United States’ only breeding hummingbird, so if you see your hummers disappear for a few weeks in the summer, no worries, they’re just starting their little families and will be back soon. 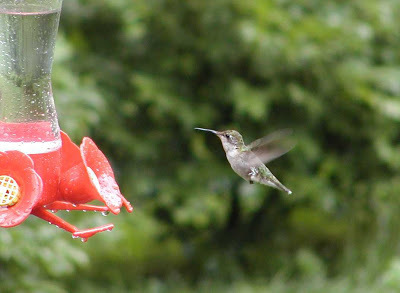 You can see hummingbirds usually starting in late April at the Inn, as the hummers migrate north from their winter abodes in Central America. 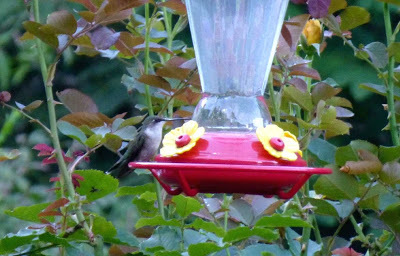 They stick around for the summer, their trips to the hummingbird feeder replaced by trips to the butterfly bushes, bee balm and other nectar-producing flowers. 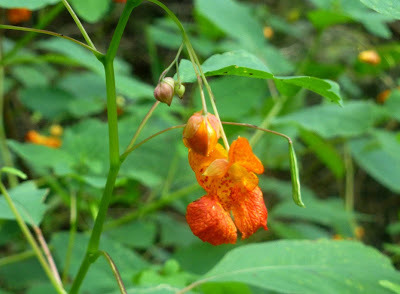 And because red and orange are the Ruby-throated Hummingbirds’ favorite colors, they also adore the native Jewelweed that grows along the edge of the lawn near the creek. When you see this lovely flower in late July/early August, look for hummingbirds to be chattering and buzzing around nearby. 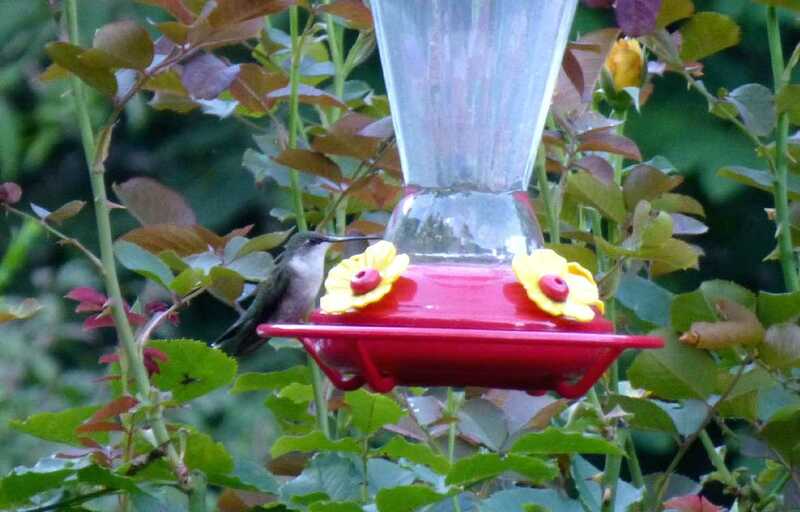 In fall, the Ruby-throated Hummingbird makes its way back south. iridescent red throat that looks dark when it’s not in good light.